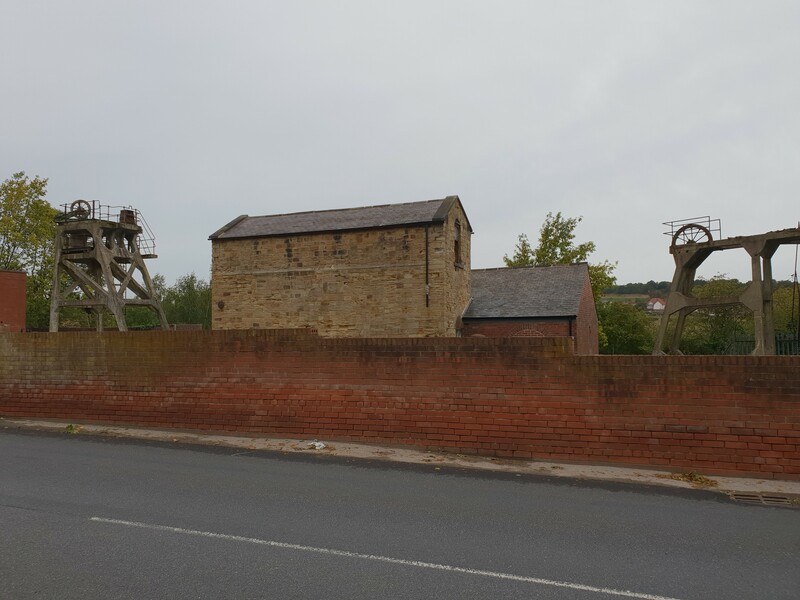 The Friends of Hemingfield Colliery arrived bright and early on site, under a grey sky at Hemingfield. Regular volunteers Keith, John and Chris were on hand to get to work on the first undoubtedly Autumnal day of 2018. First the bad news. It wasn’t just leaves on the ground. Unfortunately that perennially deciduous beast (mixing metaphors muchly?) the boundary wall had lost a few more of its own parts, with bricks on the ground again. Vandalism and criminal damage are not unknown to the area; like many post-industrial communities with pockets of deprivation, it can experience anti-social behaviour, restlessness, and sometimes a loss of hope. Thankfully the area is also blessed with generous, hopeful and good-humoured people. Just down the road, the Wath, West Melton & Brampton Litter Pickers are a great example. In the face of flytipping and thoughtlessness, they venture out every day keeping the area, their area, tidy. 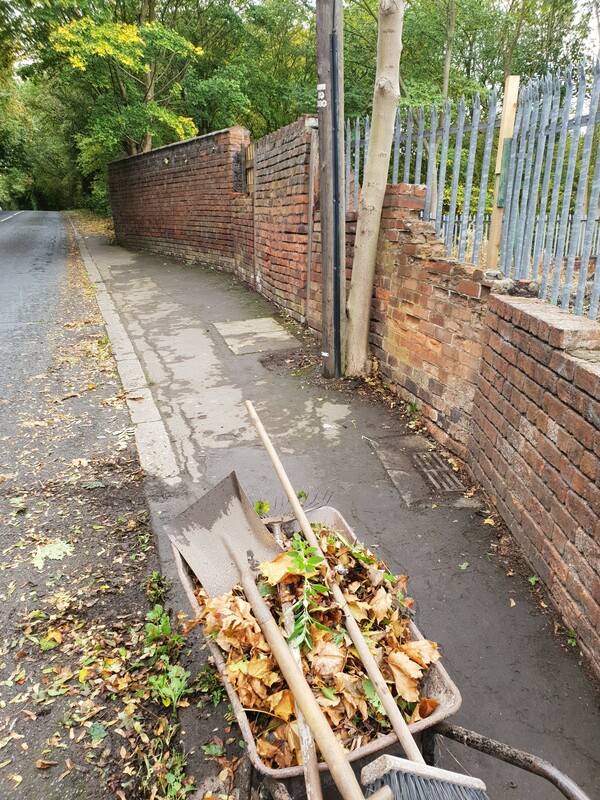 Whether it is while out walkng the dog, or joining neighbours, near and far in trying to reclaim neglected greenspaces, they are a group of individuals making a difference, little-by-little, every day. 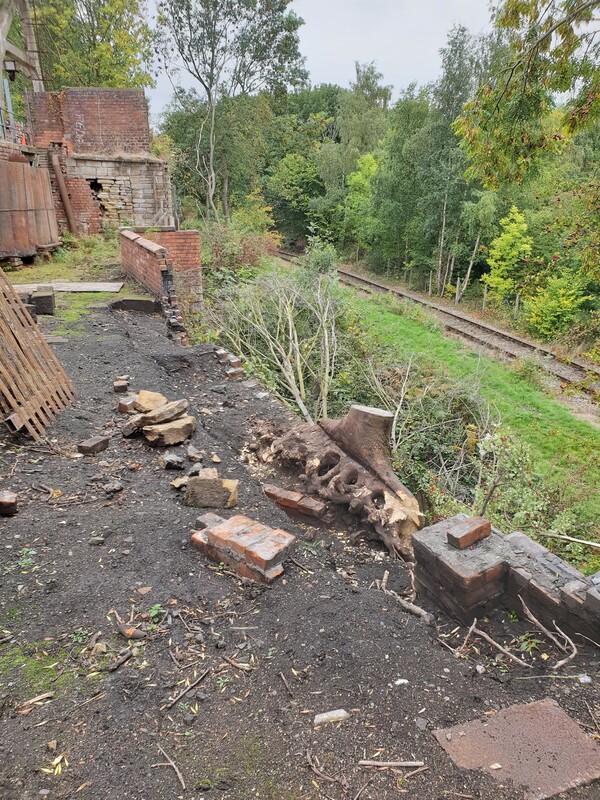 And so it was very much in this spirit, and with the privilege of safeguarding Hemingfield Colliery, that the volunteers set about picking up the bricks and mending wall with a fence. Perhaps a patch-work for now, but important to protect our shared heritage, as we continue to work on repairing other parts of the site and plan for the longer term. Incidentally, if anyone reading has skills or experience they are willing to share, whether building, repairing, or are simply interested in the historical and mechanical aspects of our site, please do get in touch. We would love to hear from you. We feel strongly that heritage is a community asset, and the value comes from sharing it; equally, the fun comes from sharing that interest and enthusiasm with others. Bricks done, it was time for a quick sweep-up. The sudden shifts of hot to cold weather, from dry to wet, are leaving their mark on the leaves. As the breeze picks up, and the treetops sway and shake, a crisp carpet of Sycamore seeds helicopter downwards, floating away from the trunk into the road. Closer by the leaves tumble down and gather, green and golden, brown and fawn. With barrow standing by, rake in hand and brush and shovel at the ready, the first full leaf-fall was swept away. After a hearty lunch, work continued around the back of the engine house. Removing the large stump continued, and with hatchets, axes, saws and sheer determination, the afternoon went by in a slow assault on the remaining roots. The power of nature continues to impress, as whole stone blocks were enveloped by the tree as it grew, and prizing it away is quite a challenge. After a good slog, a halt was called to proceedings for this working day – a busy one again, as the Friends look towards winter and start planning for the 2019 season. Hemingfield Colliery is a small part of a larger landscape. Much has changed in the last 200-odd years in and around the former estates of Earl Fitzwilliam. 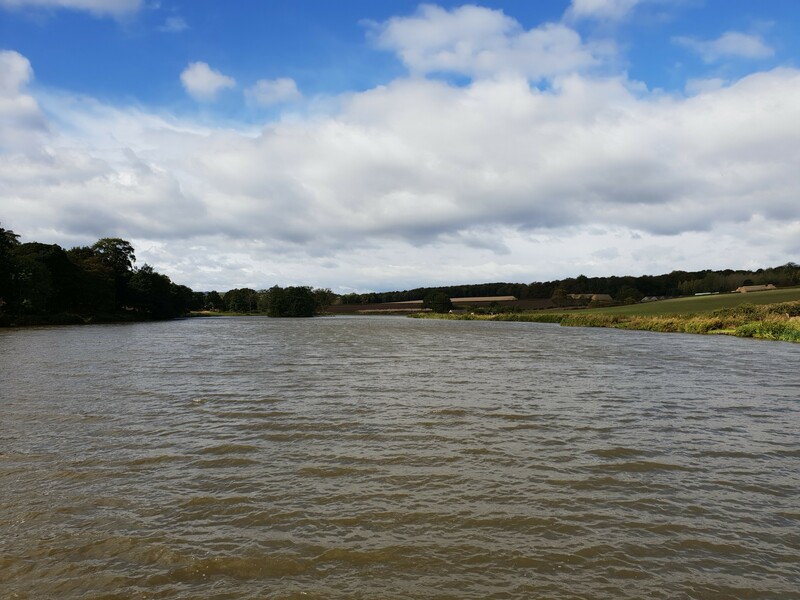 Earlier in the week a unique opportunity presented itself to discover a little more about that landscape in the form of a tour around the Fitzwilliam Wentworth estates to consider the influence of Humphry Repton (1752-1818). 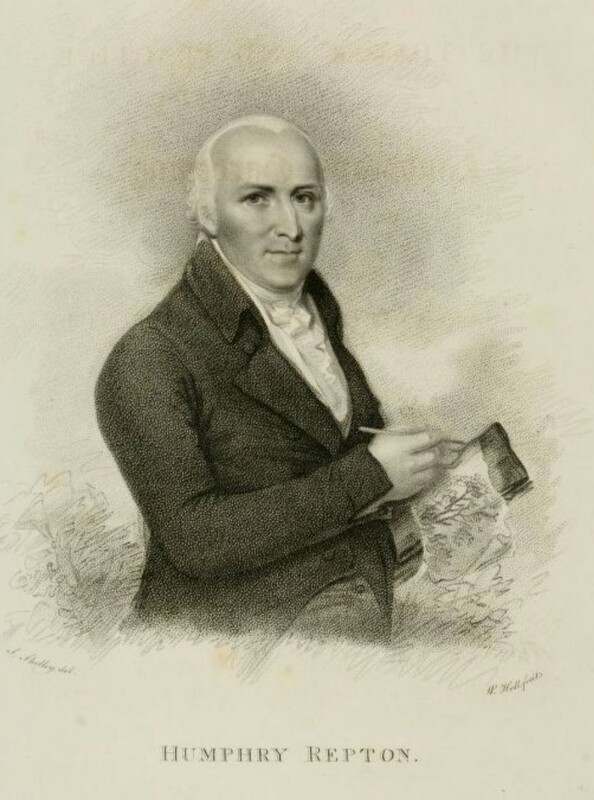 Repton reviewed the estate at Wentworth, and made recommendations for alterations. In a somewhat modern parallel to before and after shots, Repton presented proposals to his clients in so-called ‘Red Books’, red Maroc leather-bound books of paintings of the grounds, with flaps or ‘slides’ which would be lifted to reveal the transformations he offered to his wealthy patrons. Wentworth’s own Red Books include three sets of proposals for alternations to the landscape of the Park around Wentworth. The changes, and Repton’s other work in Yorkshire which followed his work at Wentworth are detailed in an intriguing book by Patrick Eyres and Karen Lynch, On The Spot: The Yorkshire Red Books of Humphry Repton, Landscape Gardener, recently published by New Arcadian Press. 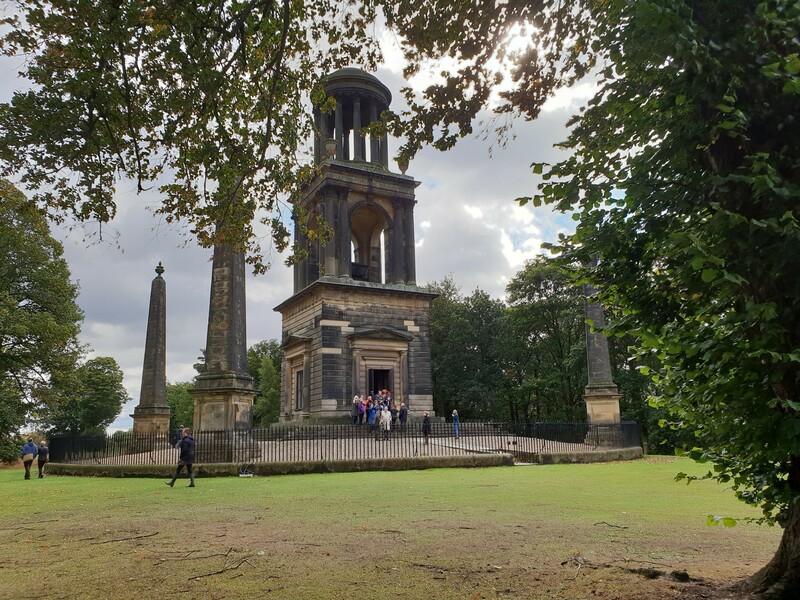 From the serene beauty of the Rockingham monument, known locally as the Mausoleum, erected by Earl Fitzwilliam to the memory of the second Marquis of Rockingham, who had passed the estate on to him. 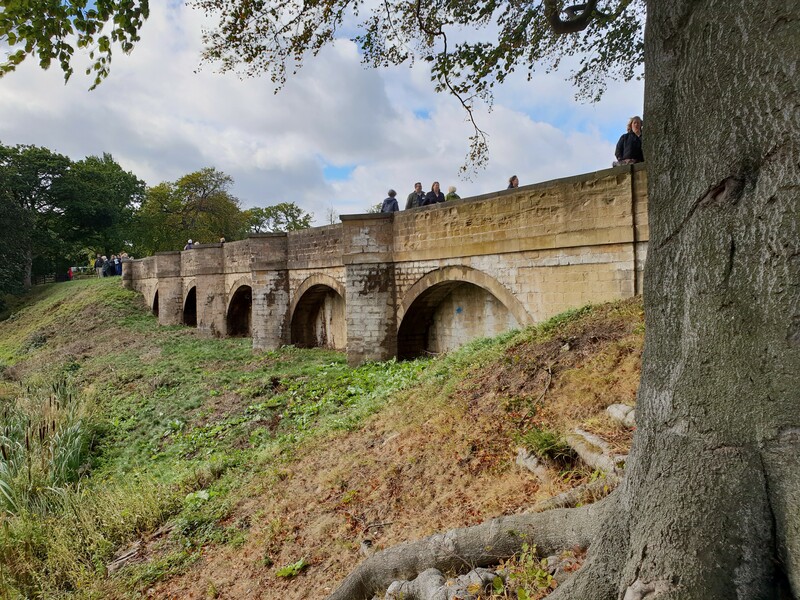 On to the serpentine lakes and cascading waters down to the restored ‘Red Bridge’ – really a dam – Repton sought to change the appearance of dry and hilly terrain. Thanks to the careful stewardship of the Fitzwilliam Wentworth Estates, the ravages of times are being put right; after the despoiliation of the park after the war by Opencast mining, it might have been thought that the Reptonian planting, landscaping and use of water would be lost to history, but recent work is ensuring that this beautiful planned landscape is recaptured for modern day visitors to enjoy. Of course, the jewel in the crown of the Park, is Wentworth Woodhouse itself. 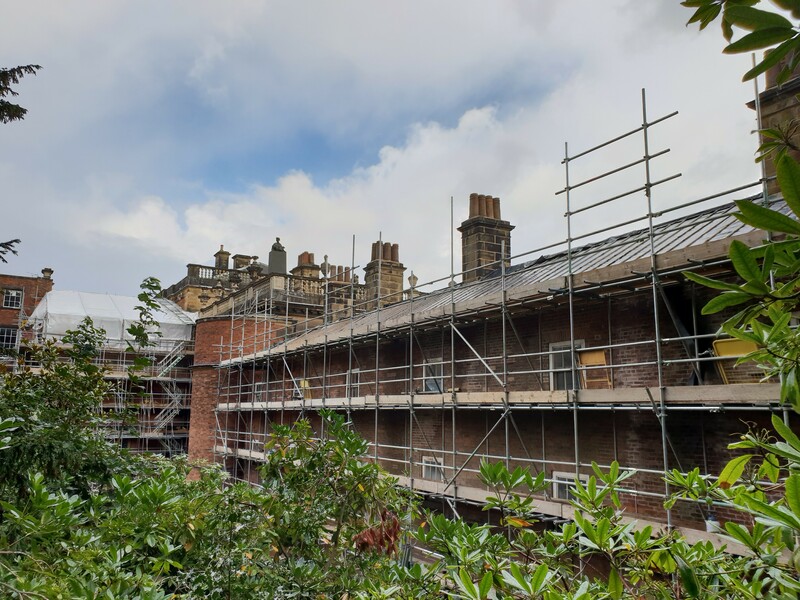 Taken into the ownership of the Wentworth Woodhouse Preservation Trust in 2017, the mansion is receiving urgent repairs to its formidably large roof. Assisted by the National Trust, the WWPT are making progress with a masterplan for the house to ensure its survival and gradual restoration.